Attached Dual Bay Paint Mix Room Shown. Garmat® USA Dual Skin Paint Mixing Rooms are designed to provide a well illuminated, and contaminant free ventilated work area for mixing applications. These units utilize a slightly negative pressure to ensure code compliance. 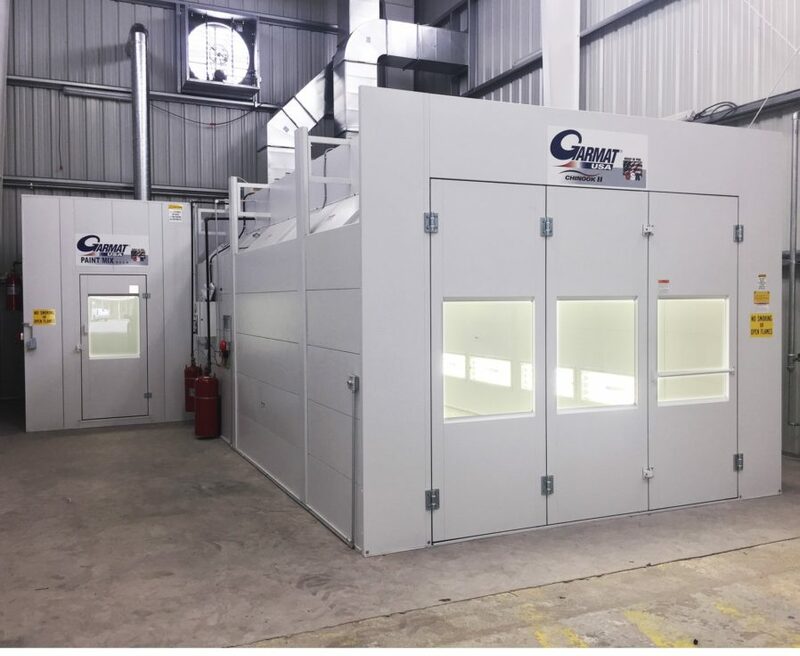 The Garmat USA Paint Mixing Room is a key element when considering your paint shop requirements. Multiple configurations available to meet your shops specific needs. Garmat USA Dual Skin Paint Mixing Rooms are ETL listed as well as NFPA 33 and OSHA compliant. This is must have for any paint booth set up.